So glad you stopped by. Web sites are taking on a greater presence in my day job lately so my creativity has been landing there, rather than here. But I’ll be back. In the meantime, please enjoy some of my favorite summer recipes! When you crave something, have you ever thought that maybe it’s the nutrients in that food that you’re craving? Sometimes, if you stop and think about what nutrients ARE in the foods you’re craving, you can then start to look for super healthy foods that have the same nutrients. For instance, if you crave a hamburger, maybe your body is telling you it needs more iron. 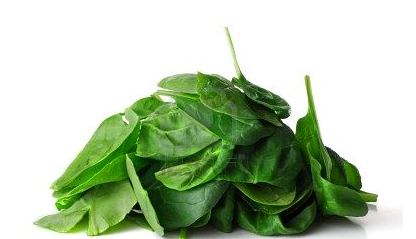 But if you don’t want the fat associated with a burger, perhaps you could have a big spinach salad. This week, I’m amused to find I’m craving spinach, mushrooms and eggs. Is it because I’ve been indoors so much? 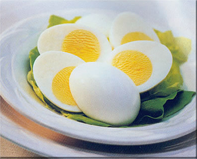 Do I need more vitamin D (eggs)? 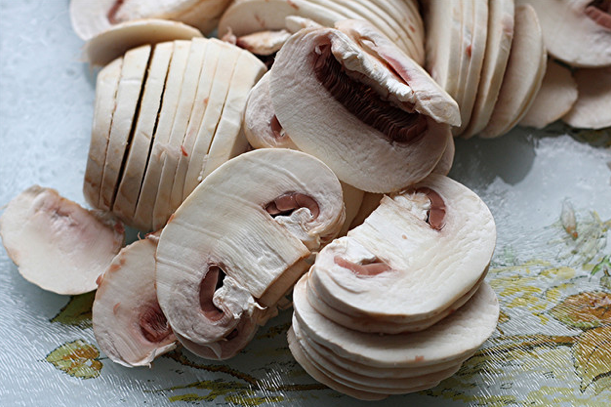 Do I need more potassium (mushrooms)? So I brought home a bag of baby spinach salad, a package of sliced mushrooms and a dozen eggs. As soon as I got home, I made a dish of pasta covered in sauteed mushrooms, garlic and onions, added to canned tomatoes. The spinach was added during the last moment of cooking; just enough to wilt it ever so slightly. Delicious! The next day I made a fresh salad of spinach, raw mushrooms, chunks of thawed mango from a Trader Joe’s frozen pack, sliced almonds and dried cranberries. Topped with a boiled egg, I was in heaven. A salad like this is wonderful with a poppy seed dressing, blue cheese, or an Asian ginger/sesame blend. Salt on the roads. Salty stews. I can’t take it anymore! By the looks of the searches bringing readers here, it seems I am not alone. This week, my favorite foods were fresh avocado, fresh ruby-red grapefruit, and frozen mango chucks from Trader Joe’s. Sweet relief. They are restoring. The avocado I ate straight out of the shell, although it would be perfect on a salad of Romaine lettuce, grapefruit sections, red onion, feta cheese and balsamic dressing. To the grapefruit I added honey and warmed it in the microwave for about 15 seconds. Alternately, you could put it under the broiler for 3-5 minutes. 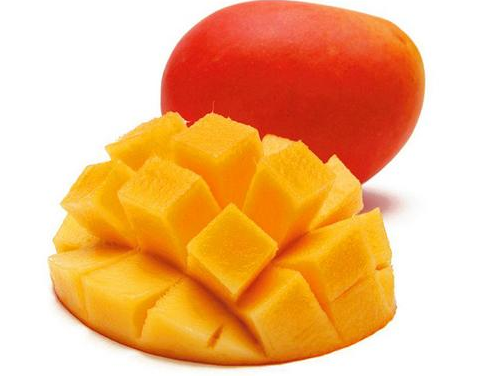 The mango? Heavenly. Briefly thawed with the help of a microwave, then topped with plain, whole-fat yogurt, it made my day. When fresh produce looks like it could be better, don’t hesitate to go with frozen. The flash freezing techniques in use today keep berries, mangoes and vegetables nutrient rich. They are a great shortcut when you want to maximize flavor yet get food without additives. I love a salad for lunch in the summer time. It took some trial and error, but now my lunches get looks of envy. “Is that Balsamic dressing? I’m going to make a salad just like that when I get home!” said a co-worker yesterday. Make a salad well, and you’ll have the best lunch in the room. Combine things too soon, however, and you’ll have nothing but green mush. 1. Pack the salad dressing separate from the salad. 2. Add the salad dressing immediately before eating. 3. Undressed salads, complete with meat, carrots, nuts, and other fruits and veggies will keep very well in a plastic container for about 24 hours. 4. A few slices of roasted meat go a long way toward keeping me full and energized for the afternoon. 5. Dried cranberries or raisins add a snap, helping to round out the flavors. 7. I keep a salad spinner of washed, torn Romaine lettuce in my refrigerator. When I’m ready to make a salad, I simply grab and go. 8. I keep all the other ingredients together, as I rarely go through an entire apple or carrot for one lunch’s salad. 9. I prepare the UNDRESSED salad the night before. Stored in a one-serving container, I keep it refrigerated until I leave for work the next day. 10. By lunch time, the salad is still fresh and crisp. Rather than bring a whole bottle of dressing to work, I bring one serving at a time in a small, plastic container. 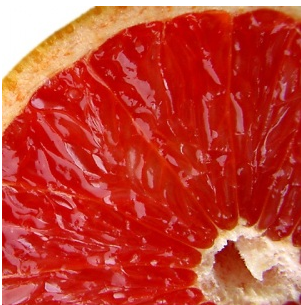 After a bike ride in the sun, all I want is citrus, but I’m usually famished, too. It’s easy to skip protein in summer when fresh fruit is abundant, and lemonade is flowing. 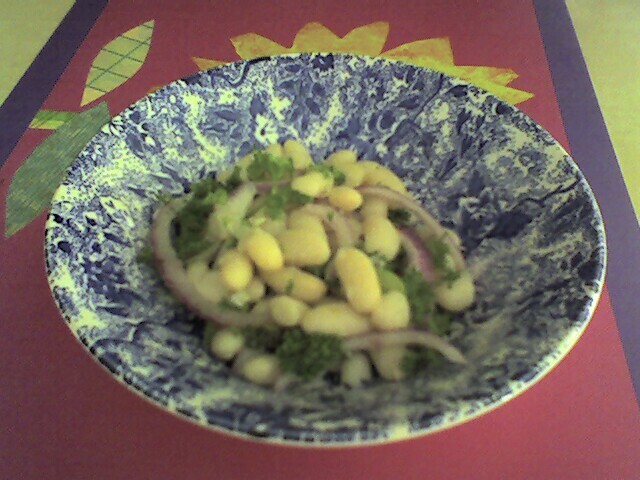 That’s why I love this white bean salad. It’s so refreshing straight from the fridge, and it’s not anything like the Midwestern bean salads you may have had in the past. Be sure to have it with a slice of toast or a baguette to make a complete protein with the beans. Not only will you feel refreshed, but you’ll have energy, too. Combine the beans, one whole garlic clove and the sage in a large bowl. Cover with cold water and let soak overnight. The next day, discard the garlic and sage, drain and rinse the beans. Place the beans in a large pot, cover with fresh water and add the whole celery stalk. Bring to a boil, reduce heat and simmer until the beans are al dente, from 30-40 minutes. (Don’t let them turn mushy.) Drain the beans, reserving about 1 cup of the cooking liquid. Discard the celery. Let the beans cool to room temperature. Combine the sliced garlic, the onion and olive oil in a medium-sized bowl. Squeeze the juice from 1 1/2 of the lemons over the top and season with salt and pepper. Whisk lightly until emulsified. Add the beans, chopped celery, parsley and reserved cooking liquid. Cover and set aside for at least 1 hour to allow flavors to blend. (Be sure to refrigerate if you plan to let it sit longer than an hour.) Season with more freshly squeezed lemon juice to taste. Serve cold or at room temperature, garnished with lemon wedges from the remaining lemon half. Remember that beans absorb salt, causing the flavor to disappear after a day. Be sure to taste and re-salt leftovers as needed to brighten the taste. You may want to add a little more lemon juice after day, but I find that the flavors of this salad just get better with time. When it’s hot and humid, all I want to do is pull something easy out of the fridge. 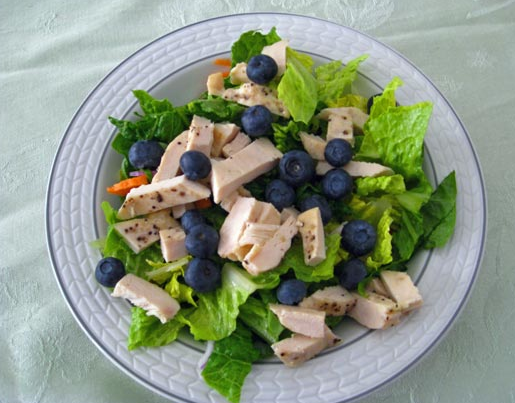 This salad can be made in big batches, and can accommodate all kinds of substitutions. Originally, this recipe was for couscous. Since I’m gluten-free, I’ve switched to quinoa. This year, I started adding slices of steak to create a more protein-rich lunch on-the-go. No Italian parsley? Cilantro works just fine. Make the quinoa or couscous according to package directions. Whisk together the yogurt, olive oil, vinegar, curry, turmeric, salt, and pepper. 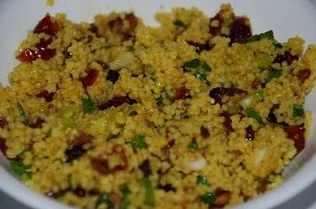 Pour over the fluffed quinoa or couscous and mix well with a fork. Add the carrots, parsley, currants, almonds, scallions and red onions; mix well and taste for seasonings. Serve at room temperature. We’ve been feasting on soups and stews, roasted meats and all kinds of saltiness. All of the sudden, I knew I had to have something fresh, NOW. 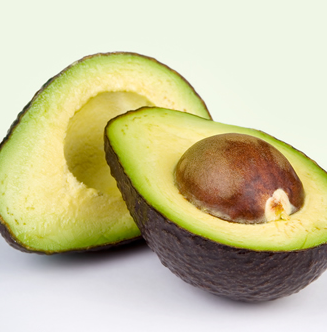 It may seem like an odd combination, but I was ready to brace the cold just to get another avocado for a second round! Dressing: Balsamic salad dressing of your choice. A red wine dressing would also work. Optional: Sprinkles of feta cheese. Tear the romaine into bite sized pieces. Arrange on a salad plate. 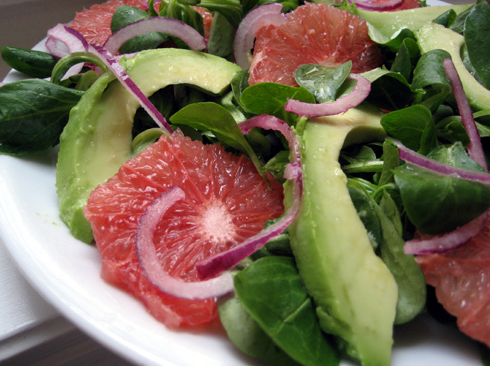 Layer the grapefruit sections and avocado slices over the lettuce. Sprinkle the red onion slices over the top. Drizzle with salad dressing. Sprinkle with feta cheese if desired.